It does look like an owl that is strutting. That is all I really have to say on the matter. The original was done in pen. 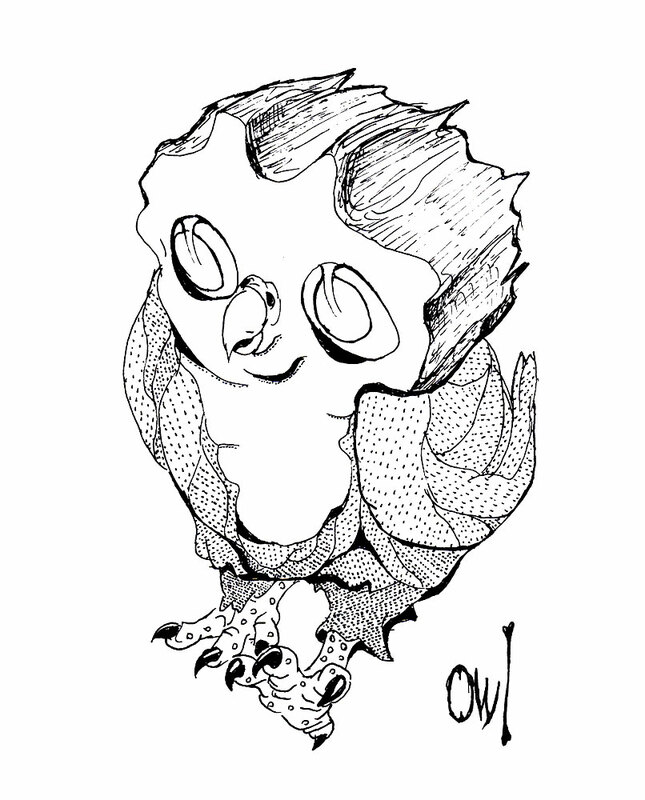 This entry was posted in Scanned Desksketch and tagged owl, strut by Anthony. Bookmark the permalink.